Great & Interesting Russian-speaking Places! Thread: Great & Interesting Russian-speaking Places! I couldn't find a thread for this, so I am starting one. Everybody knows Russia as an enormously large country of great contrasts in climate, population and culture. But it is not easy to find information about Russia and the ex USSR countries unless you speak good Russian. Most visitors to Russia only travel to one of the largest cities. I have been in St Peterburg once - but not anywhere else in Russia. Moscow seems too big and crazy for my taste. But here are some uniqe and very cool places in Russia that I would like to visit! (more soon) What about you? 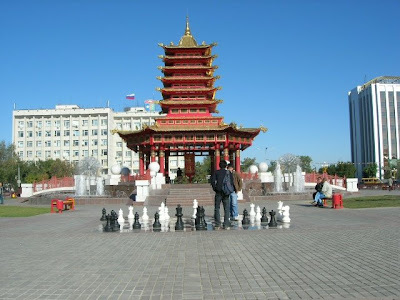 Because I am a chess-fanatic: Elista (Элиста) in Kalmykia - The chess capital of the world, where the president of the republic is a famous chess player. They are building a chess themepark, apparently! Another interesting thing is that this is a Buddhist city. As a patriotic Swedish person I have to say Viborg, which was founded by Sweden and was once an important Swedish city. Later it belonged to Finland but nowadays it belongs to Russia and it is called Выборг. The most famous thing about it is the old castle. It is located on the Gulf of Finland, in the Leningrad oblast. 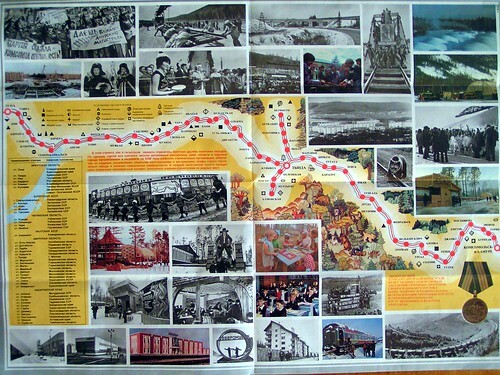 I would like to travel the BAM railway (Байкало-Амурская Магистраль). It uses amazing engineering techniques due to the extreme environment. The nature along the railway is spectacular and it is very desolate. Some new cities were built along the railway as it was constructed during the 1970-80s. There were hardly any pictures of this railway online! Has anybody been to this part of Russia? Kiszhi (Кижи) the museum island for wooden buildings. I did not know anything about this place until I met a Finn who had visited it and loved it. It's an island in the middle of Lage Onega which has lots of old Russian-Orthodox wooden churches and other amazing buildings on it. Kiszhi is located is located in Karelia which is on the Russian border with Finland. Re: Great & Interesting Russian-speaking Places! ...where the president of the republic is a famous chess player. You can speak Russian all day there. Nice restaurants, also home to the Russian Mafiya in the US. The housekeeping rooms at the motel where I work. 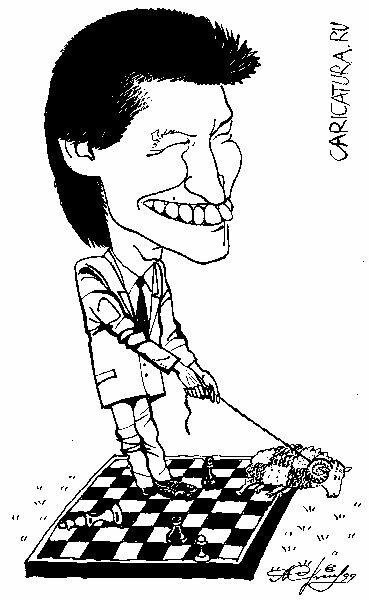 But he is president of "FIDE"
According to the BBC Ilyumzhinov's election platform for the presidency of Kalmykia included promising voters $100 each and a mobile phone for every shepherd (...) He once campaigned under the slogan "a wealthy president is a safeguard against corruption." He also pledged to introduce what he called an "economic dictatorship" in the republic, as well as to continue to promote chess in Kalmykia, in Russia and to the wider world. Ilyumzhinov has striven to become an "Asian values" authoritarian like his Singaporean, Korean, and Chinese role models. He has spent millions of dollars on chess and supporting religion, building a Catholic church at the instigation of the Pope John Paul II. He has also built a mosque, a synagogue, 22 Orthodox churches, and 30 Buddhist temples. The Dalai Lama has visited Kirsan Ilyumzhinov on many occasions and has blessed a number of the temples in Elista, as well as Kalmyk Buddhist temples overseas. Chess was made a compulsory subject in the first three years of elementary school—the only place in the world where this is the case. The region now has numerous champions.